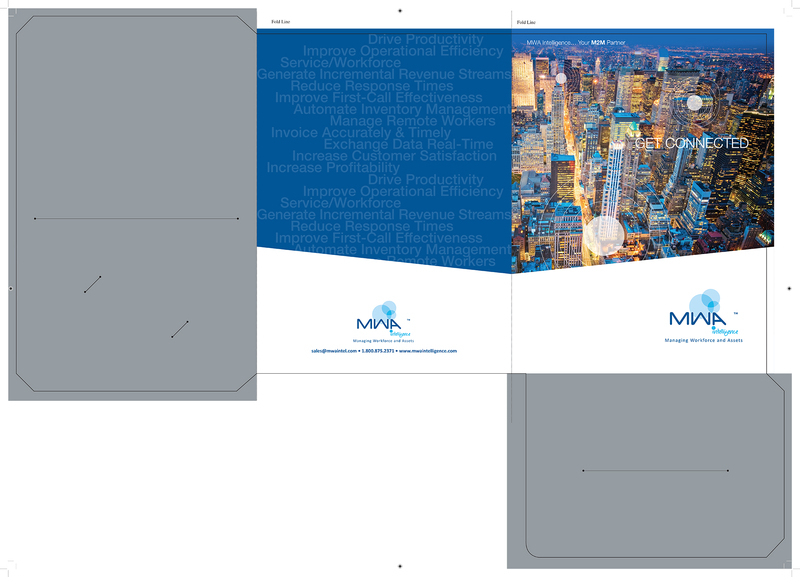 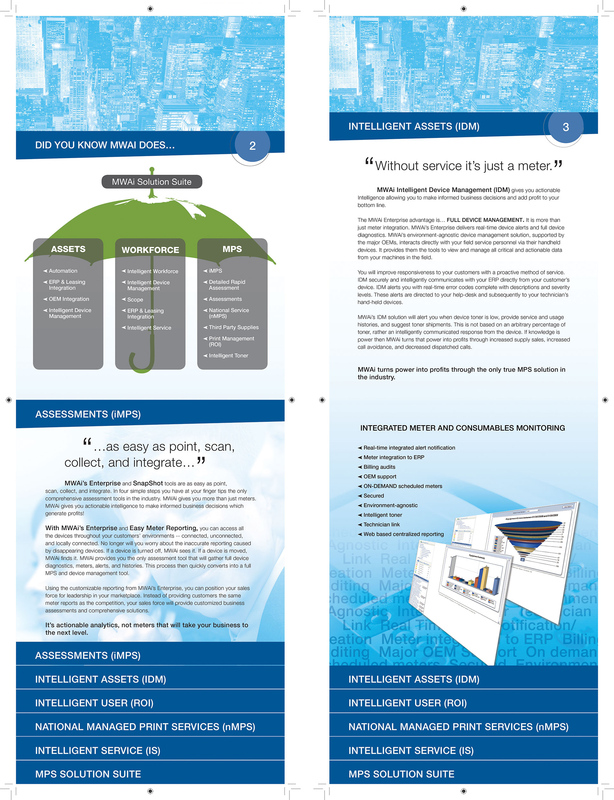 [DUV]DESIGN created a custom tiered brochure and promotional folder for MWA Intelligence , and worked on further projects for the company for 3 years. 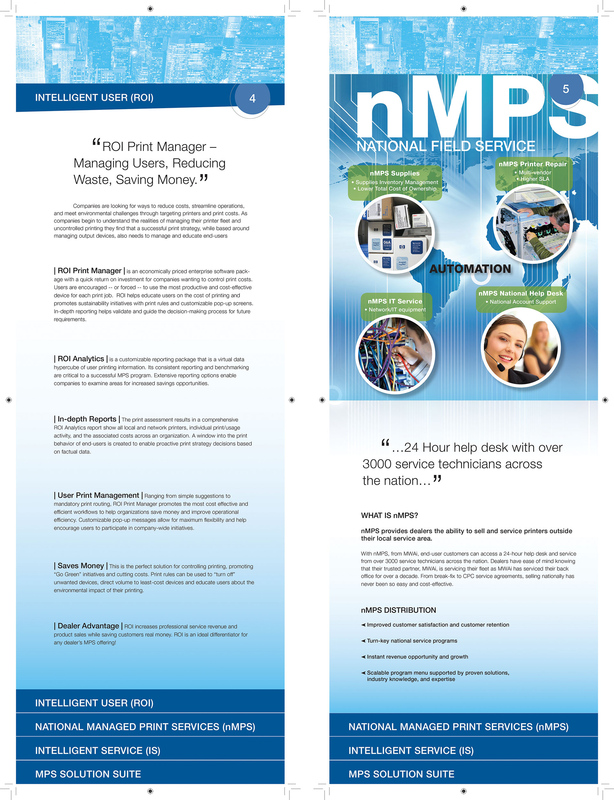 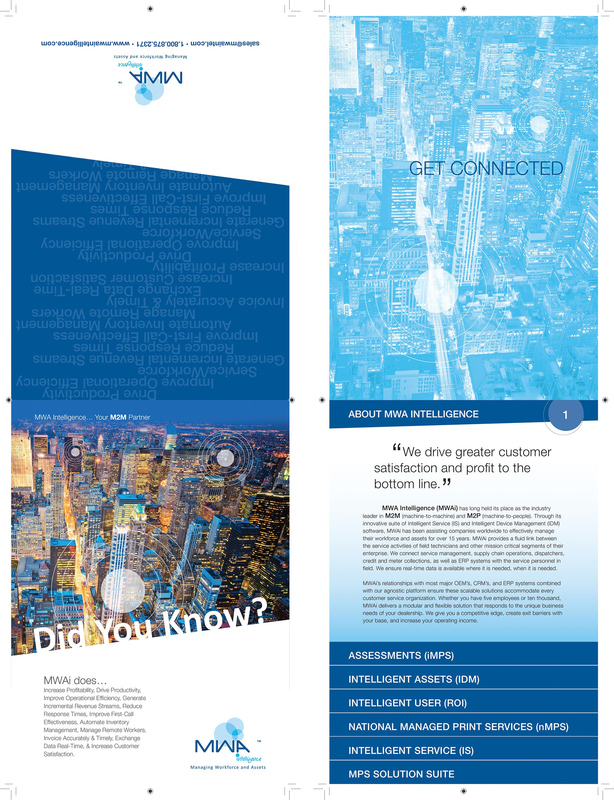 MWA Intelligence (MWAi) has long been the M2M (machine-to-machine) and M2P (machine-to-people) industry leader. 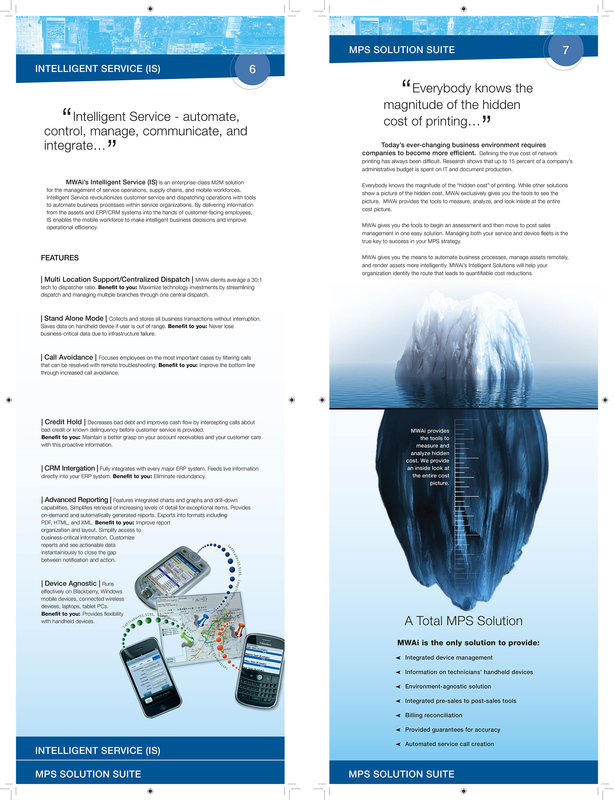 Through its innovative Intelligent Service (IS) and Intelligent Device Management (IDM) software suites, MWAi has been assisting companies worldwide in managing their workforce and assets effectively for 15 years.